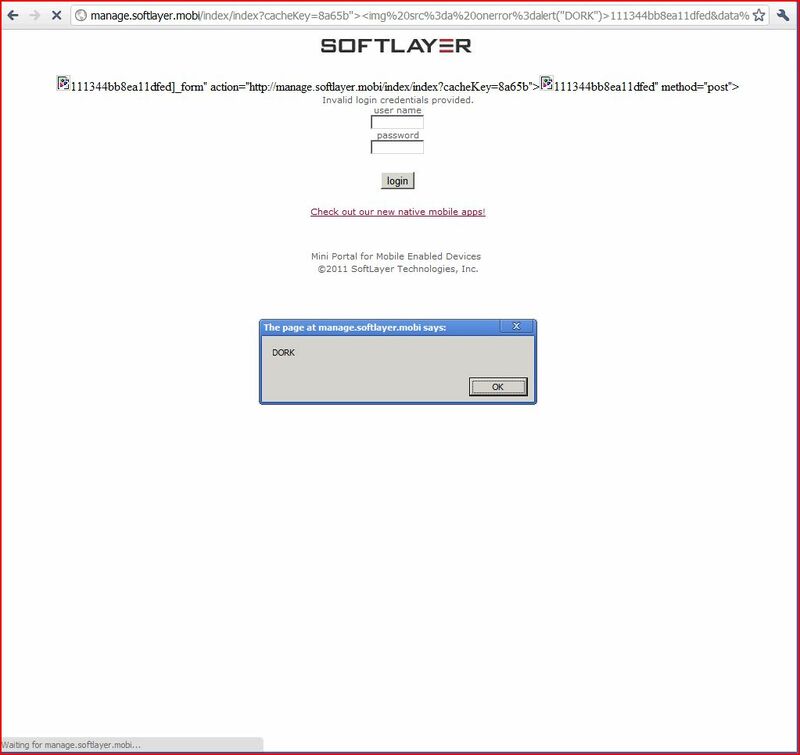 Report generated by XSS.CX at Wed Apr 20 15:50:00 CDT 2011. The value of the cacheKey request parameter is copied into the value of an HTML tag attribute which is encapsulated in double quotation marks. The payload 8a65b"><img%20src%3da%20onerror%3dalert(1)>111344bb8ea11dfed was submitted in the cacheKey parameter. This input was echoed as 8a65b"><img src=a onerror=alert(1)>111344bb8ea11dfed in the application's response.